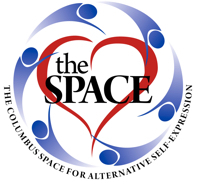 Columbus Space for Alternative Self Expression - Rough Body Play with IceBear! Rough Body Play with IceBear! Save 50% off the door price! Gold members pay 75% off the door price on this one!! Another free class for this membership level. But please pre-register so we know to expect you. Looking to get some “hands on” experience with your partner? Perhaps you enjoy it a little rough around the edges? Maybe you like to take it to the mat? Well… Have we got something special planned for you! Join us on Saturday, June 18 for a Rough Body Play workshop with a skilled practitioner and instructor – IceBear! Over the course of the day, he is going to bring his significant experience in hand to hand – to the class to share some great information and demonstrations of holds and strikes! He’ll lead into some fabulous discussions, and during the second part, will be adding weapons and striking implements – for your pleasure and your bottoms’! So if you are interested in rough body/takedown play? Mark your calendar, cause this one’s for you!